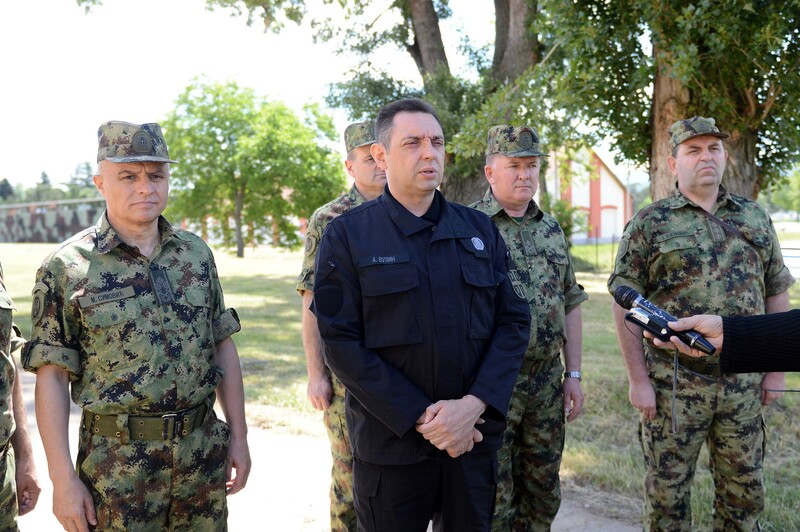 Minister of Defence Aleksandar Vulin visited today the members of the Serbian Armed Forces in the barracks “Knjaz Mihajlo” in Niš. On that occasion, Minister Vulin, who was accompanied by State Secretary Bojan Jocić, Army Commander Lieutenant General Miosav Simović, Head of Logistics Department in the General Staff of the Serbian Armed Forces Brigadier General Željko Ninković and Deputy Commander of the Third Army Brigade Colonel Slađan Stamenković, was informed about the organisation of work in the quartermaster service, laundry and cleaning service and shoe and sewing workshops. 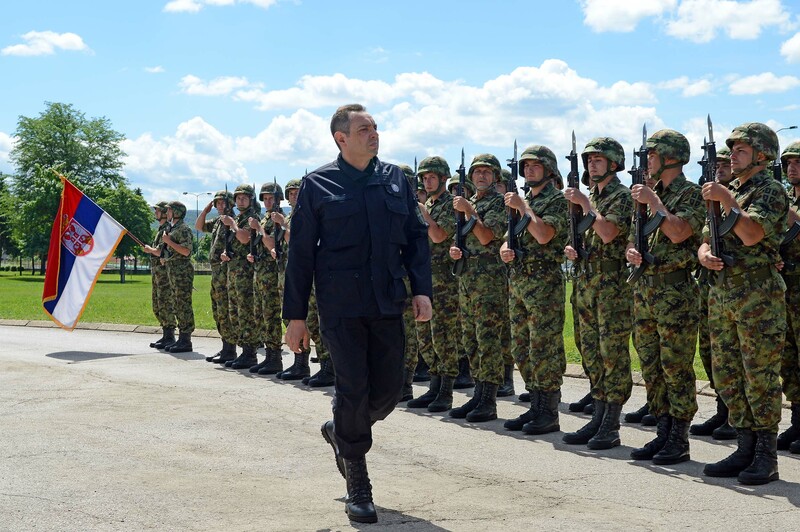 Minister Vulin pointed out that, in line with the orders of the Supreme Commander of the Serbian Armed Forces Aleksandar Vučić, every professional soldier had to have two sets of the uniform and new boots. - Today, we have shown that it is precisely the case and I can say with pleasure that compared to, let us say 2008 and 2012, we have increased the number of uniform sets 3.3 times, of boots 5.2 times and food supplies are higher by no less than 52 percent than in that period. Every soldier of ours needs to have two sets of the uniforms, new boots and everything else that is necessary for him to discharge his daily tasks – the minister of defence said and added that the Serbian Armed Forces were equipped and that they and every soldier had to know that the society and the state took care of them, and that the gratitude shown by the country could be measured by the working conditions, the kind of uniforms and boots that they wore, and the quality of food that we had. - The Government of the Republic of Serbia counts on its armed forces, just like the people that knows that the secured, equipped and satisfied armed forces are the guarantee of secure and satisfied Serbia – Minister Vulin said. General Ninković expressed his satisfaction with the opportunity to present to the minister of defence the state of the quartermaster support of the Serbian Armed Forces units. - We had an opportunity to see all the segments of the services by which we ensure adequate standard of our members and to present a part of economic supplies in possession of our armed forces which ensures in the upcoming period the continuity of clothes replacement, repairs, and general betterment of visual appearance of our members – General Ninković said and added that it was done in all the units of the Serbian Armed Forces. The distinguished guests toured the storage of the quartermaster assets of the Central Logistics Base.